This morning, Apple launched their annual back to school promotion. This promotion is for students, more so specifically college students, so that they can get the best and newest deals on Apple products such as the MacBook and iPad, which are devices that Apple regularly supports for doing schoolwork on. Save $200 when buying a qualifying Mac with the Apple education discount. Will receive a free pair of Beats Solo3 Wireless Headphones. Get 20 percent off on AppleCare. 10.5-inch iPad Pro starting at $629. 12.9-inch iPad Pro starting at $779. Get a free pair of Powerbeats 3 Wireless Earphones with purchase. $10 off the Apple Pencil. For those who are wanting to trade-in their current Mac or iPad, Apple is offering a trade-in option so that customers can get an estimate on their Mac or iPad to see whether or not they would want to trade it in. If so, the customer would get in-store credit. On top of all of that, Apple is also still offering their Pro Apps Bundle for Education. 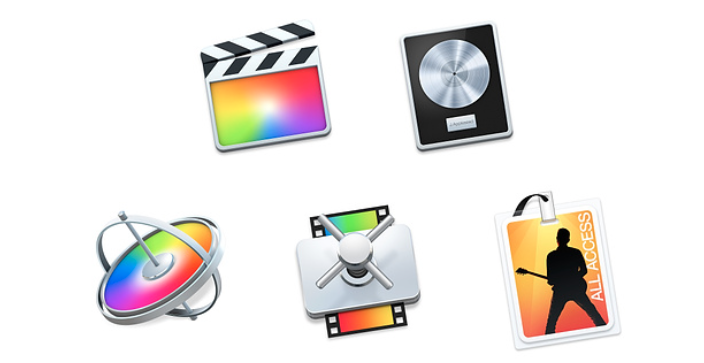 These apps include Final Cut Pro X, Logic Pro X, Motion 5, Compressor 4 and MainStage 3. Additionally, students can get Apple Music for $4.99 a month (regularly $9.99 a month) by simply going into the Apple Music app or iTunes and then verifying their college email with UNIDays, which runs the program. Students will still get the three-month free trial of the service too. All of these deals can be purchased at one of the many Apple Store locations or simply by going into Apple’s Education Store. When at the physical Apple retail stores, you must bring your college/student ID with you to verify that you are a current college student. The promotions are also available to teachers and professors, as well.